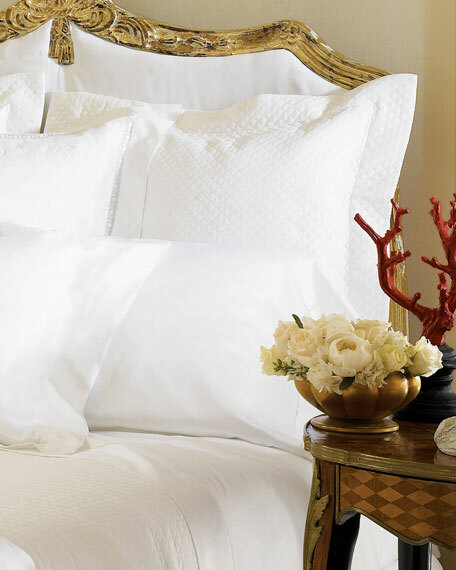 Duvet cover woven and sewn in Italy of Giza 45, the world's finest Egyptian cotton. Finished with a classic 4" flange. 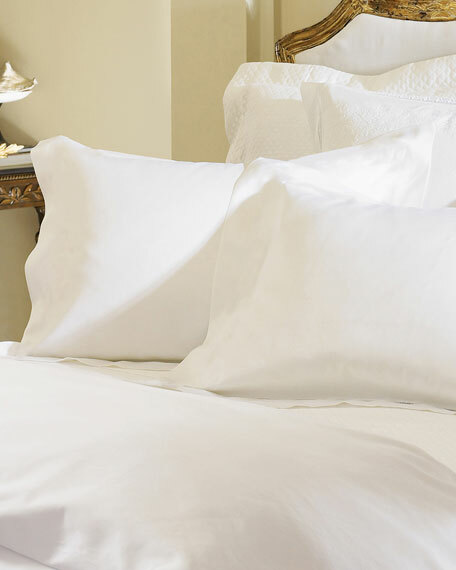 Pillowcases woven and sewn in Italy of Giza 45, the world's finest Egyptian cotton. Finished with a 4" cuff and hemstitch detail. 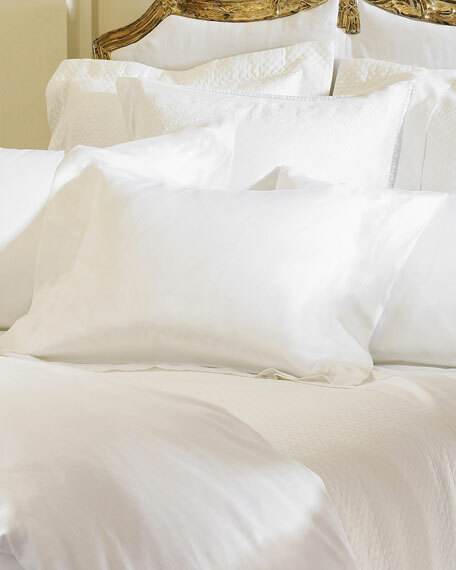 Fitted sheet woven and sewn in Italy of Giza 45, the world's finest Egyptian cotton. 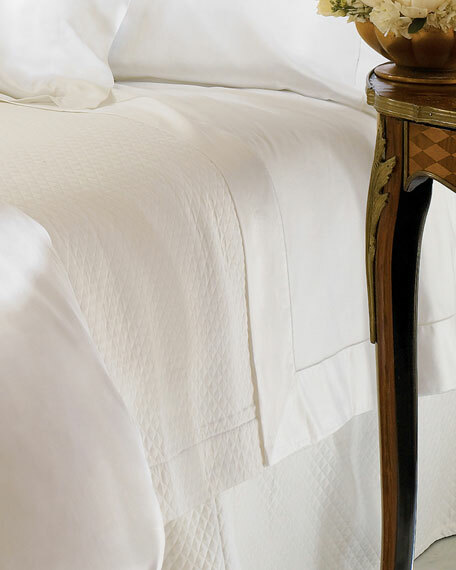 Flat sheet woven and sewn in Italy of Giza 45, the world's finest Egyptian cotton.